Car transit wheelchairs, will fit even the smallest of car trunk. Detachable armrests with stainless steel skirt guards and swing away detachable footrests. 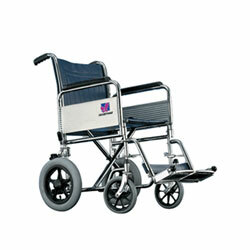 Supplied with 8" front castors and 12"pneumatic rear wheels.